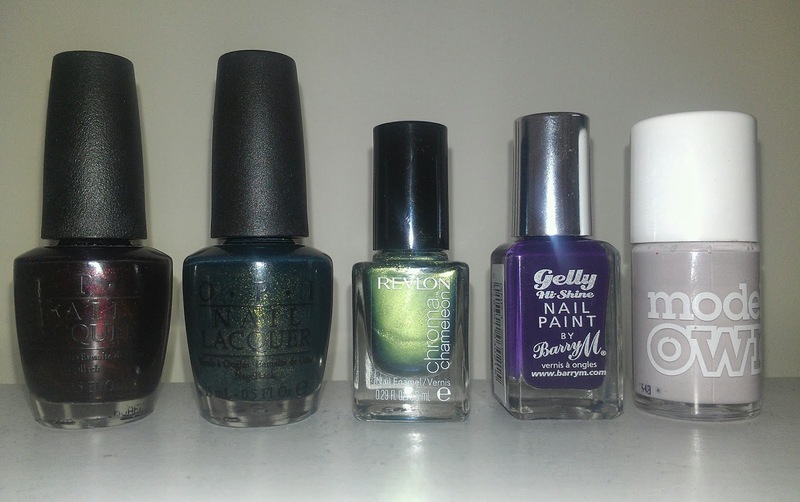 The A/W seasons here so i thought i would share my top 5 nail polishes with you, when the seasons change and outside gets darker so do my nails. 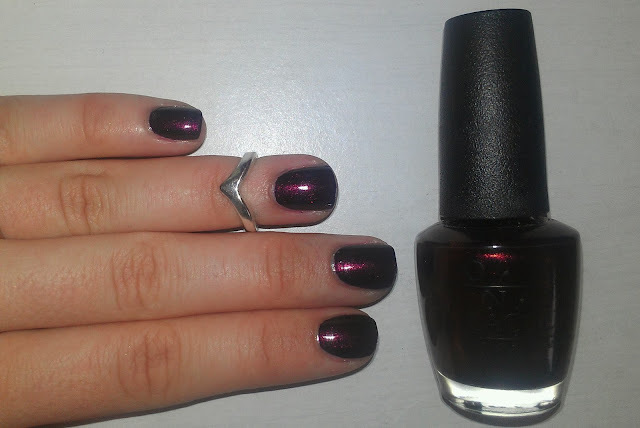 I actually prefer darker more vampy colours on my nails, so this season is good for me..there are so many beautiful A/W nail colours about i thought i would share with you my top 5 of my ridiculously massive nail polish collection (this was hard as I'm such a nail polish freak). 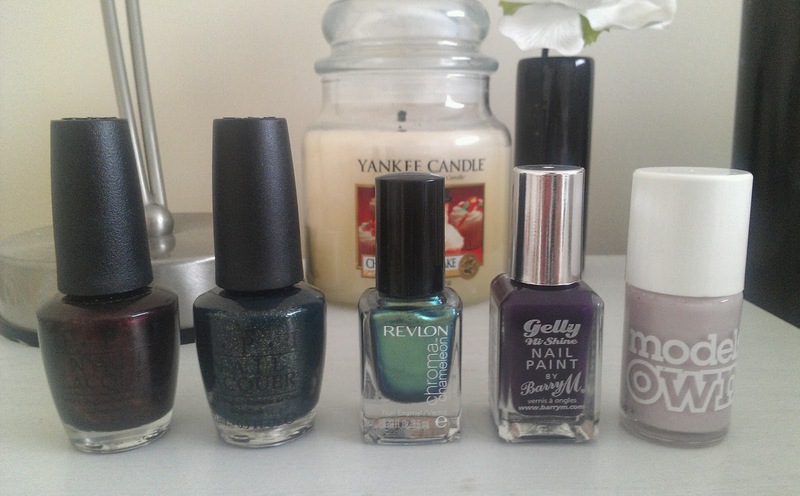 L-R O.P.I Every Month Is Oktoberfest, O.P.I Live And Let Die, Revlon Topaz, Barry M Plum, Models Own Utopia. 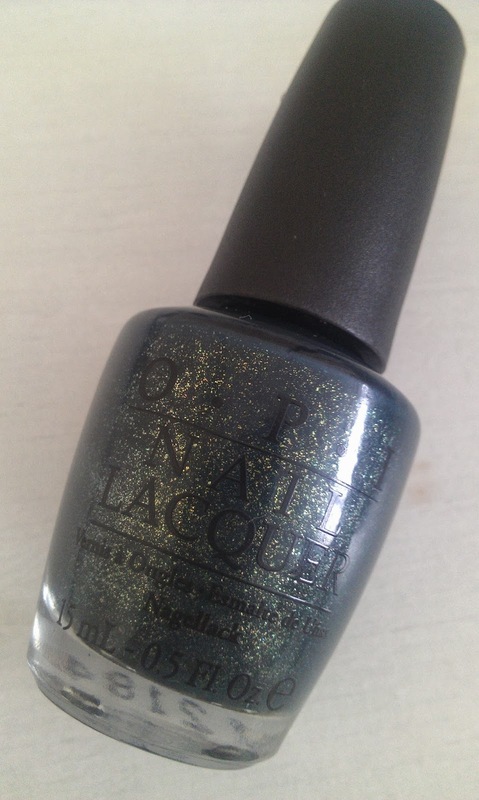 This nail polish is one of my all time favourites, i have no other like this in my collection its so unique and looks absolutely beautiful. 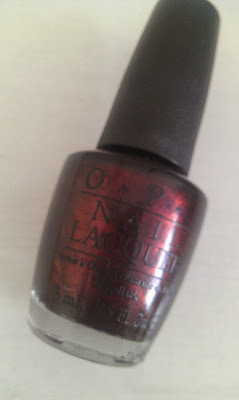 Its a really deep Burgundy shade which can shine a warm Orangey brown or a shimmery deep purple depending on the light, O.P.I is also my favourite brand of polish i have tried the formula is superb and glides on with the wide brush and leaves with a nice glossy finish even before a topcoat..I LOVE this one! 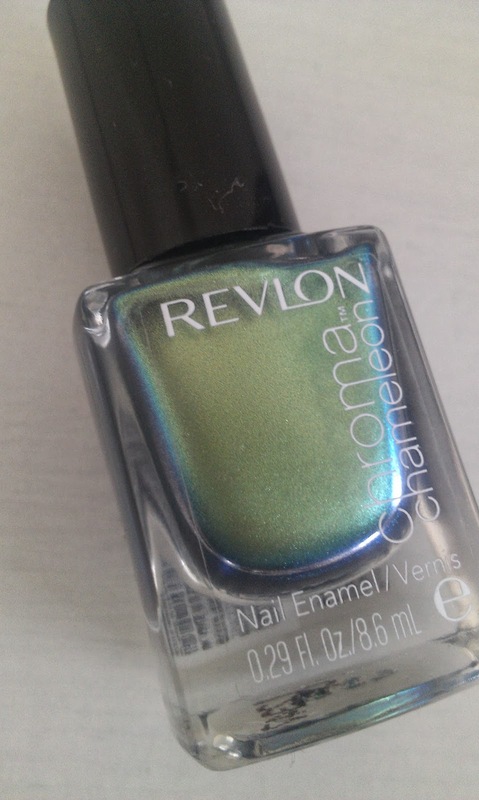 This nail polish isn't a colour i would usually go for but i just found it so pretty to look at i had to get it, and its even better on, it has the best formula and the finish to this is amazing its so glossy and easy to apply. 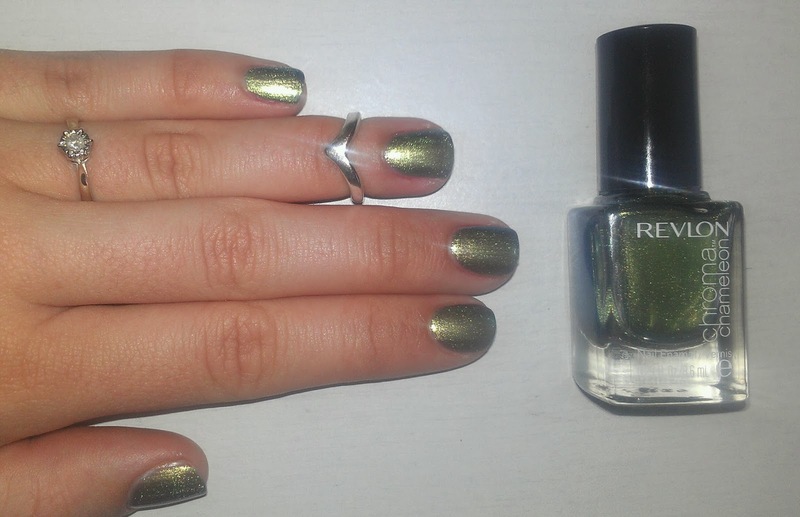 The colour of this is like a deep olive green turning a black/grey on the nails with hints of a gold shimmer running through it, its so different and great for an autumn colour. This polish is the newest in my top 5 i got this from boots the other week, This new Chroma Chameleon collection just shouted my name from the shelves, i think there are another 5 in this collection and the all look just as special (especially the rose gold one). 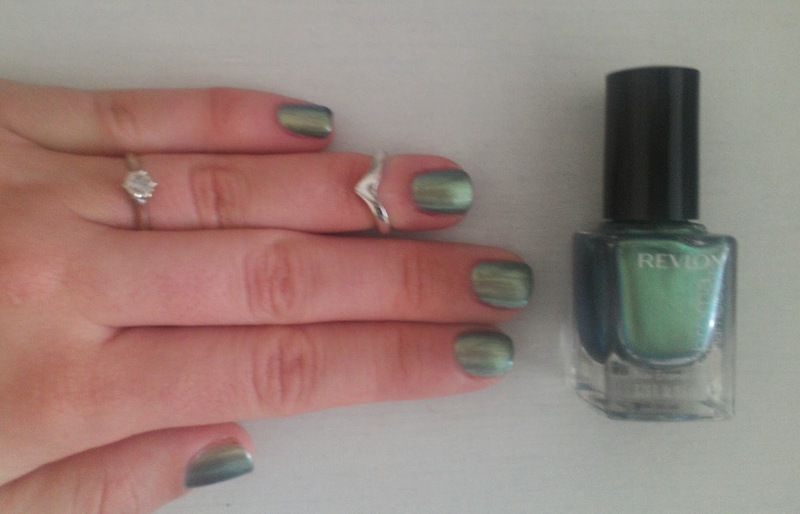 I just thought that it looked so cool ...there are alot of chrome colours coming out in other collections so wanted one for my self, its one of those "cant stop staring at my nails" colour, so pretty the way it changes in different lights. 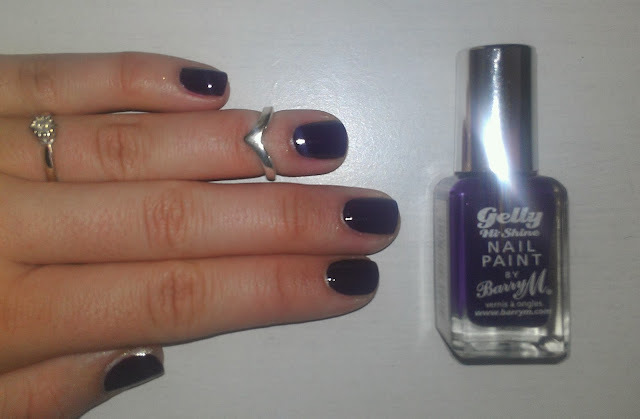 I am so impressed with the Barry M Gelly Shine range and that's saying something coming from a nail polish snob! (does that even exist? ha) they are brilliant. So easy to apply, they dry with such a gloss finish and last on the nail a good few days before chipping for only £3.99 its amazing. 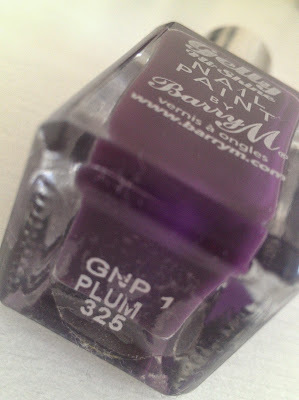 Plum is a lovely deep purple/plum shade no shimmer no fuss just a lovely shiny simple colour. 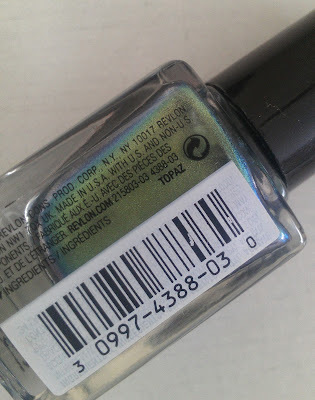 Last but not least its this lovely neutral colour from models own, this sort of shade just compliments your skin tone and makes your hands look pretty, it is great when you just want a colour on your nails to go with everything and look very chic at the same time. 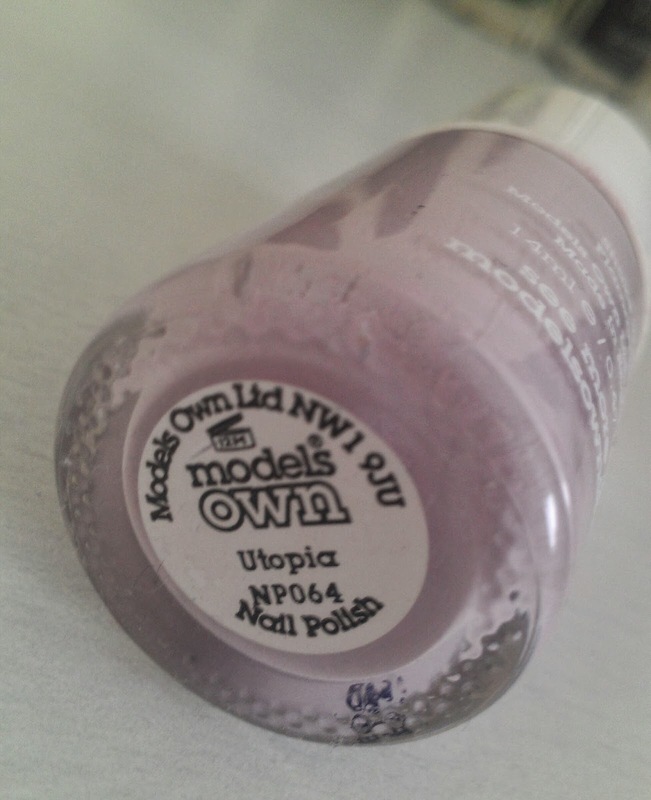 Utopia is a beige/lilac/grey colour and it looks great with a glitter over the top too, the formula is just ok you need 2 or 3 thin coats but its totally worth it. Phew all done. 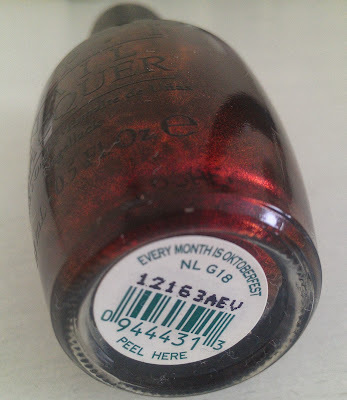 Well done for reaching this far it was a big ol post. 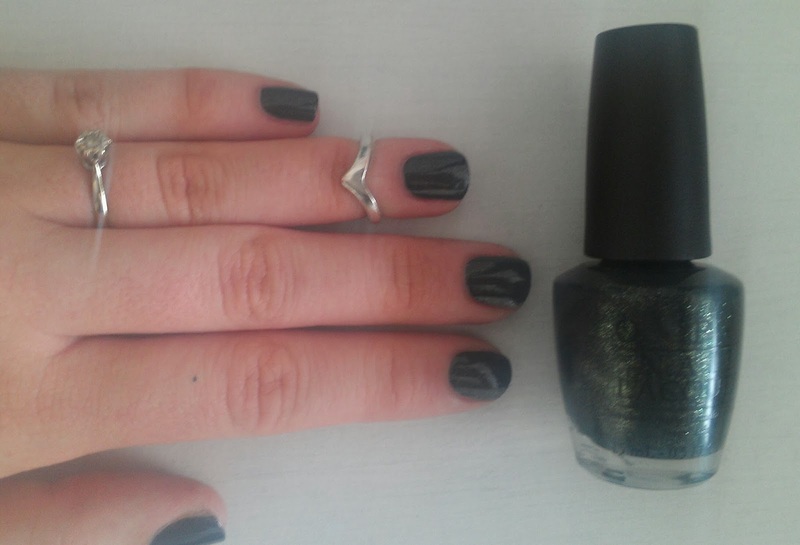 What are your favourite A/W polishes ? 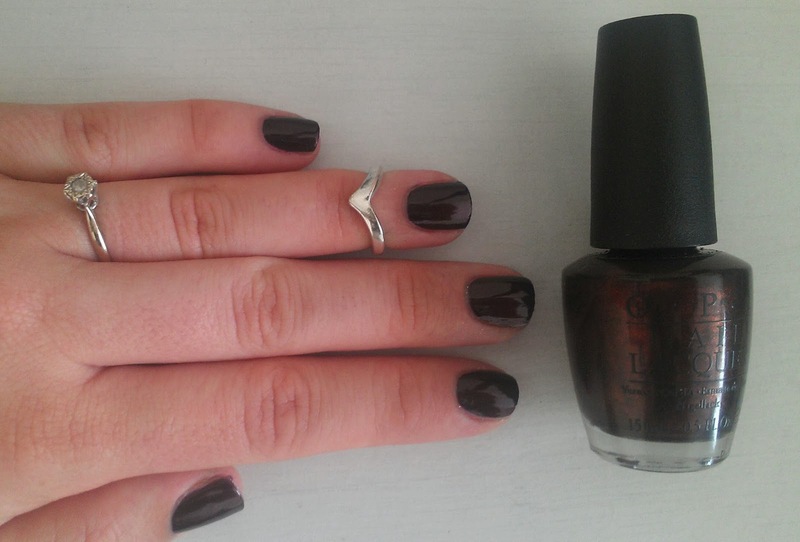 Do you change your nails like the weather? Great picks Zoe - I've fallen for Live And Let Die! 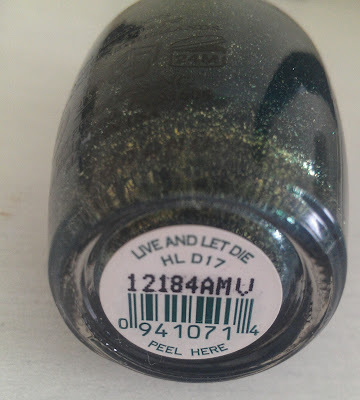 Great picks Zoe - I've fallen for Live And Let Die.